America’s favorite rapping, nerd-dunking quizmaster is about to turn his eye to the world of politics, with The Philadelphia Inquirer reporting that Jeopardy! host Alex Trebek has been announced as the moderator for an upcoming gubernatorial debate. Trebek—who’s now a naturalized American citizen, after growing up in the trivia-fertile wilds of Sudbury, Ontario—will be the one asking the questions for once, grilling candidates for the Pennsylvania governor’s office at a dinner organized by the Pennsylvania Chamber of Business and Industry. 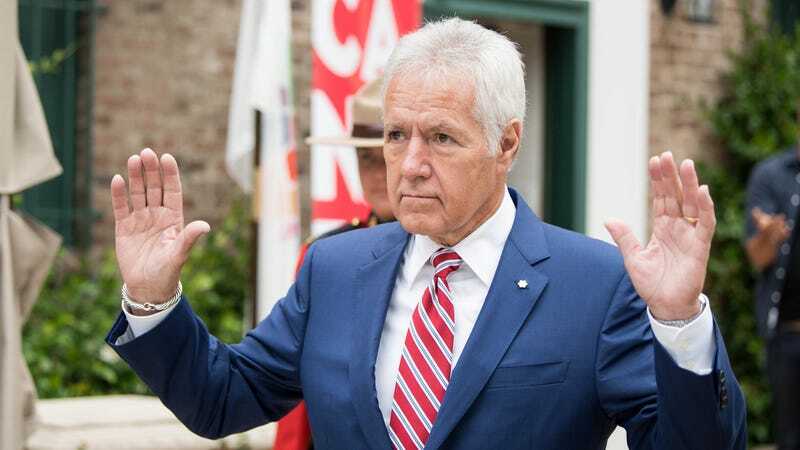 Trebek has apparently been itching to push his interviewing prowess beyond smiling along to vaguely amusing travel anecdotes for a while now, telling The Hill in 2013 that, if given the chance, he “would not let the politicians get away with standard responses. I would try to pin them down, even though I might look bad doing it.” His own politics reportedly lean a bit to the right; he’s said in the past that he’s registered as an Independent, and has called himself “socially liberal, fiscally conservative,” which is pretty rich coming from a guy who spends his days ruthlessly interrogating people on every possible topic, then giving them some free money for their trouble. The debate is scheduled for October 1.